Barton Reading and Spelling Programs® The Barton Reading & Spelling System is a one-on-one tutoring system that will greatly improve the spelling, reading, and writing skills of children, teenagers or adults who struggle due to dyslexia or a learning disability. Fast ForWord Language and Reading Programs® The Language and Reading programs developed by the Scientific Learning Corporation represent the gold standard in applied neuroscience. Since 1995, this company has led the way in helping hundreds of thousands of students around the world improve their capacity for learning and academic achievement. Now the program is more accessibile than ever and should be considered as a first step when learning problems occur and or when learning acceleration is the goal. Lindamood-Bell Reading and Comprehension Programs® (We are not a Lindamood-Bell learning center). Smart Palate®: Currently we are one of three facilities in California offering this specialized therapy tool. The Smart Palate is a well-researched useful tool that has applications in a variety of speech-related disorders, including cleft-palate, hearing impairment and cochlear implants, developmental articulation and phonological disorders, apraxia of speech, dysarthria, swallowing, and fluency. It has been used successfully in children, adolescents and adults. Speech Buddies®: Specialized tools used to help establish and practice speech sounds in therapy and at home. Social Language Skills (Group and Individual Sessions): We use materials from many sources to teach and promote the use of social thinking and language. Oral Placement Therapy: Specialized tools and training to establish feeding, swallowing, sound production and speech communication. Teletherapy: When conditions allow, our services can be offered delivered via electronic voice and video connections. 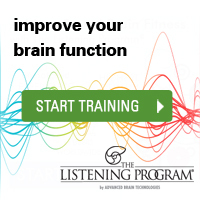 The Listening Program® (TLP): is a music listening therapy, that provides engaging brain stimulation to improve performance in school, work and life.